Today, the United Nations, Google and many others celebrate World Food Day, which promotes worldwide action on food security and ensuring nutritious diets for those who suffer from hunger. At Google, food is central to our culture and something we think about every day. Feeding more than 70,000 people around the world breakfast, lunch and dinner is a pretty big undertaking, and we strive to make healthy eating an easy choice for our employees and do so in the most sustainable way possible. One of our priorities is to minimize the environmental impact from the production of the food in our cafes. This is particularly important given that agricultural activities in the U.S. are estimated to generate 9 percent of greenhouse gases. We start by sourcing our food from suppliers that raise, farm, and harvest food responsibly. This means thinking about nutrition, as well as environmental, and social factors such as food quality, food safety, employment practices and environmental impact. Once we have the food and supplies in hand, we focus on reducing waste. On the pre-consumer side (the ingredients we use to prep food prior to serving), our food team looks for ways to reduce waste before food hits the plate, by cutting down on over-purchasing and creatively repurposing leftover ingredients to make new dishes. In April 2014, we formalized this effort by partnering with LeanPath, a technology that helps us understand exactly how and why food is being wasted in order to improve to our process. Today we have 129 cafes participating in the LeanPath program across 11 countries. Since the start of the partnership, these efforts have saved a total of three million pounds of food. Our Food Team has analyzed the food waste data generated from this program, enabling chefs in Google cafes to try out new strategies that reduce food waste while serving healthy and delicious meals to Googlers. Many Google cafes include two-sided salad bars and hot food lines. Now, multiple cafes are breaking down two-sided food stations when traffic starts to slow down. So, when fewer people are visiting the cafe, staff will shut down the duplicate side of a station to adjust the amount of food being served. We’re also opening more cafes that have made-to-order choices instead of buffets, and have started serving food in shallow pans that are refilled more frequently. Not only does this reduce the amount of food being prepared and ultimately wasted, it also results in fresher food being served. As part of our partnership with LeanPath, we’re piloting a measurement program on the post-consumer side (after food has been served and enjoyed) in five of our cafes to track the food waste from each individual plate. Since food is self-served in these cafes, we’d rather Googlers come back for second helpings instead of taking more food than they can eat. At the dish drop area in each of these cafes, a station is available for Googlers to scrape the excess food from their plate onto a scale telling them how much food they’re wasting. Members of Google’s cafe team prepare produce for lunch. 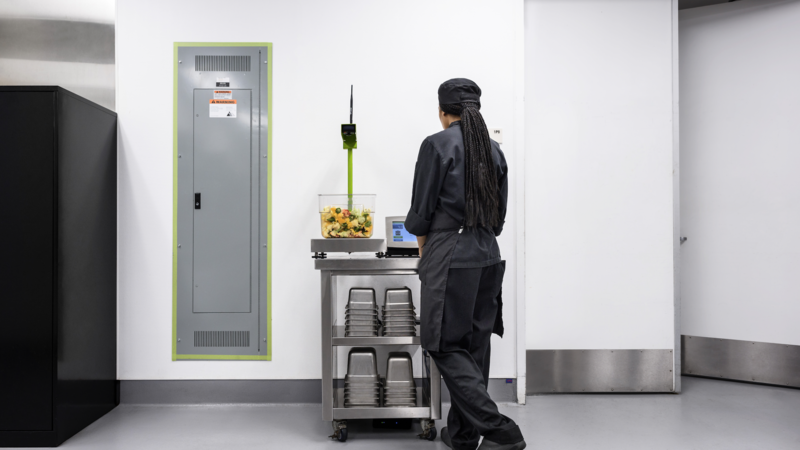 A cafe team member uses the back-of-house LeanPath food waste measuring system. Google cafes purchase imperfect produce that might otherwise end up in a landfill. 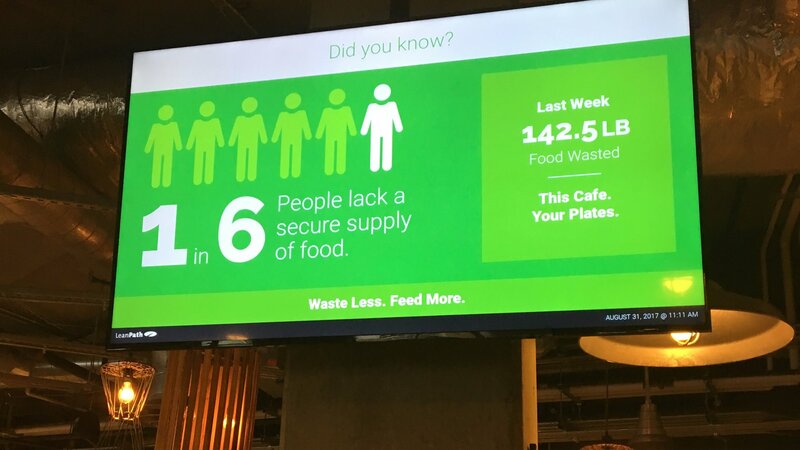 A digital data sign displays stats about food waste in a Google cafe. While our priority is to reduce food waste from the start, it’s inevitable that there will be excess food prepared. In these situations, we want to ensure that the food is put to the best possible use. We participate in a program called Chefs to End Hunger, where we send untouched, edible food to local shelters and food banks in our communities. 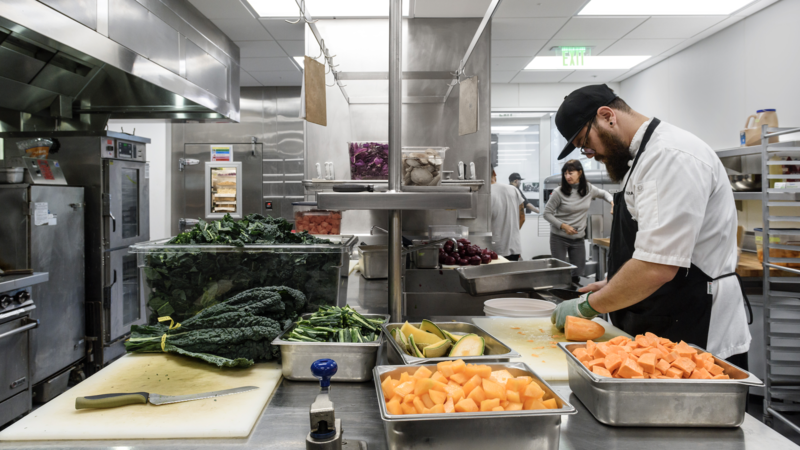 Through this program, we’ve contributed approximately 1,000 pounds of food per week from more than 40 Bay Area Google cafes to a transitional homeless shelter in Oakland, CA. After donating, our next step is to compost. In almost all Google cafes and buildings we have composting and recycling bins. As a result, we’re able to compost about 80 percent of waste in our cafes. Plus, we’re always looking for new and creative food innovations. One example is our partnership with CoffeeFlour, a company that uses the discarded byproduct from the coffee-making process and grinds it into a flour. The flour can then be used in both sweet and savory dishes. CoffeeFlour is a nutrient-dense flour, so it’s a great alternative to traditional flour used in cooking and baking. This is a great example of how the food industry can be both sustainable and create healthy ingredients. The producer also employs local people in coffee-growing regions, so it has social benefits too. 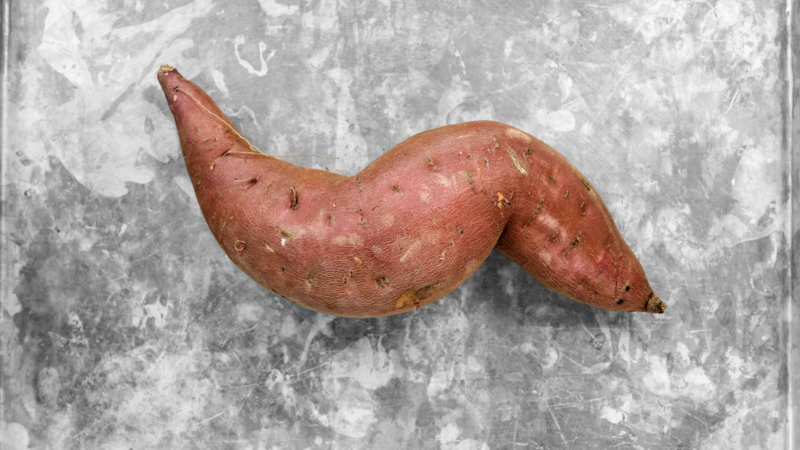 In addition to partnering with sustainable suppliers like CoffeeFlour, we’ve also made it a global priority to purchase imperfect produce—imperfect aesthetically on the outside but perfectly delicious on the inside—so that we can use produce that might otherwise go to waste. We stand with the UN on their goal to halve global food waste by 2030 and create sustainable and resilient food systems that deliver for all people and the planet. We know it will take a huge amount of effort and are committed to doing our part and help raise awareness for this imperative work. At Google, we like to tackle the biggest problems by starting with our own impact. Food is a precious resource, and we’ll always look for ways to conserve what we use and share what we learn.